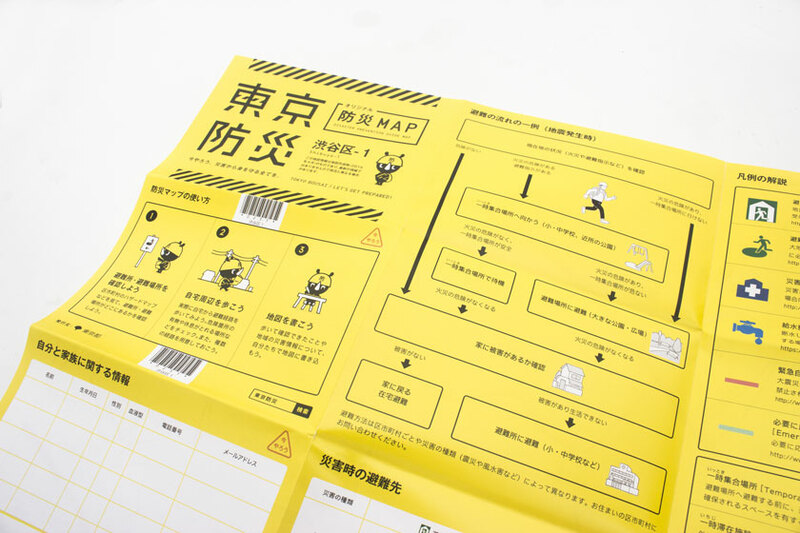 Recently Tokyo residents could find a nicely designed yellow package in their post box. At first glance it looks like a packing for a fun video game based on a rhino character. 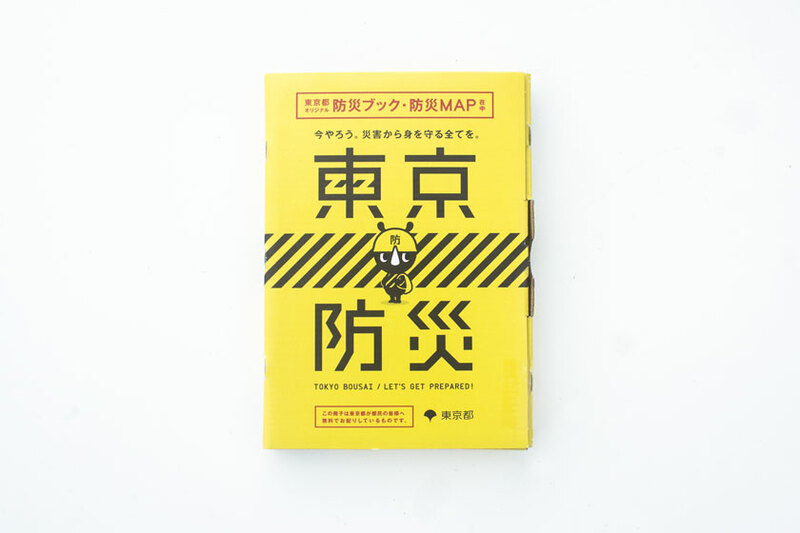 Although this package contains some fun elements such as heaps of illustrations, map, sticker and even a 16-page Manga, it is something entirely different. It is predicted that there is a 70 percent possibility of an earthquake directly hitting Tokyo within the next 30 years. Are you prepared? 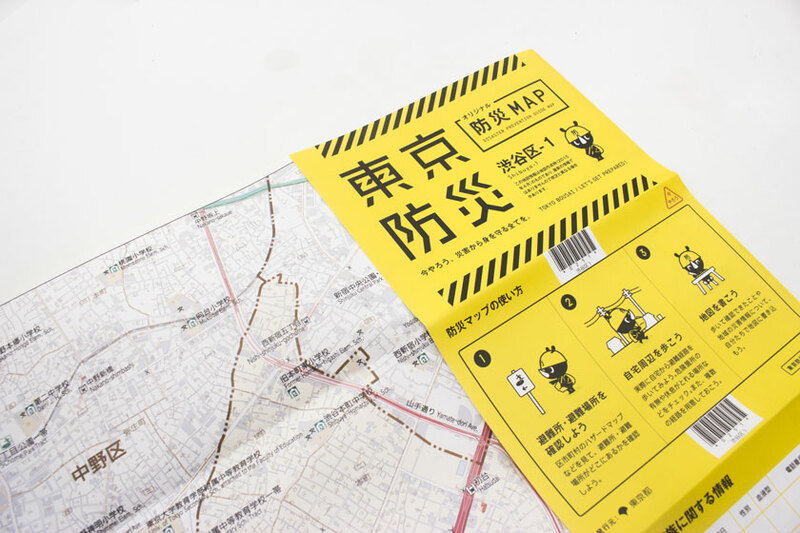 The package contains Tokyo Bōsai or the Disaster Preparedness Tokyo, a manual to help households get prepared for an earthquake directly hitting Tokyo and advise on various other disasters. 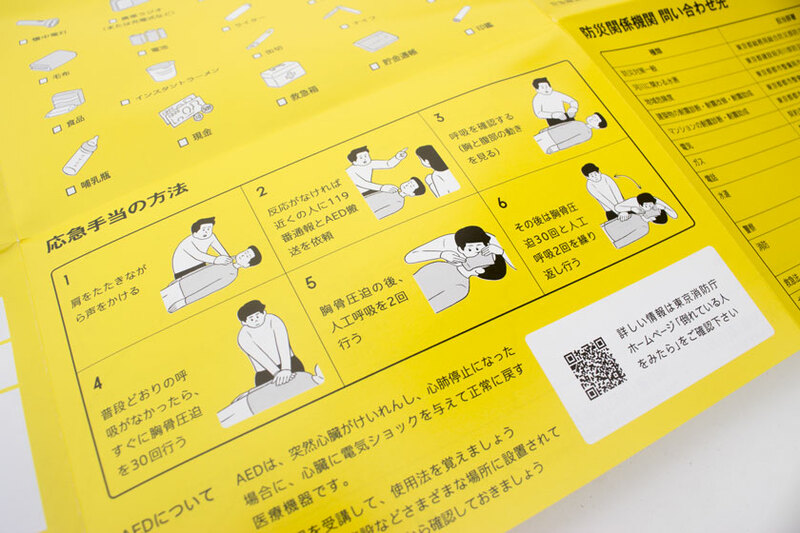 Disaster Preparedness Tokyo was compiled by The Tokyo Metropolitan Government and is tailored to the various local features of Tokyo, its urban structure, and the lifestyles of its residents, and contains easy-to-understand information on how to prepare for and respond to a disaster. It contains information which are useful now – to get prepared – and in the event of an emergency. 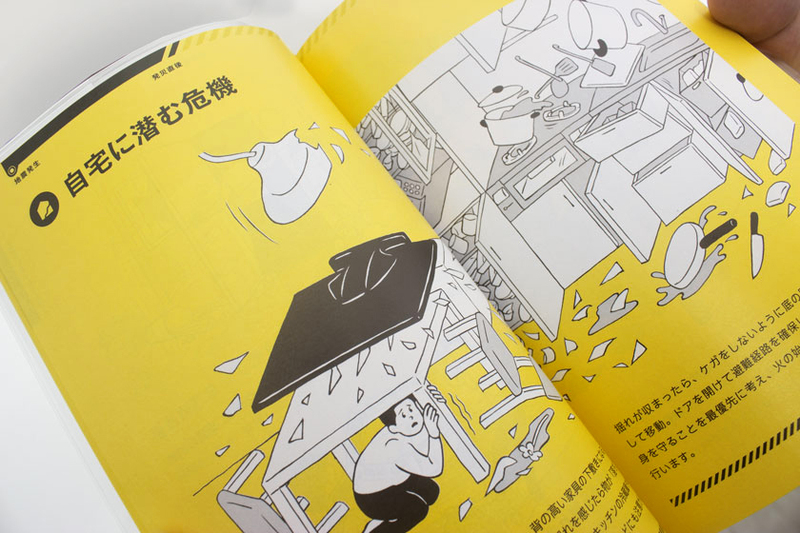 Throughout the manual Bosai-kun (防サイくん) a cute rhino character is used on chapter divider pages. Even disaster preparedness can be fun! The Disaster Preparedness Tokyo character is Bosai the Rhino.“Bosai” is Japanese for disaster preparedness and its second syllable,“sai,”has the same sound as the word for rhinoceros (犀). Overall the design uses alarming yellow as background and diagonal strips, best known for signs and fences at hazard sites. Page navigation to indicate to the current chapter. The booklet is using a interesting page navigation to indicate to the current chapter. Nice detail: near the page number area on each page (bottom right) is a small animation, which works like a flick-book. It’s the Bosai-character performing various safety drills. 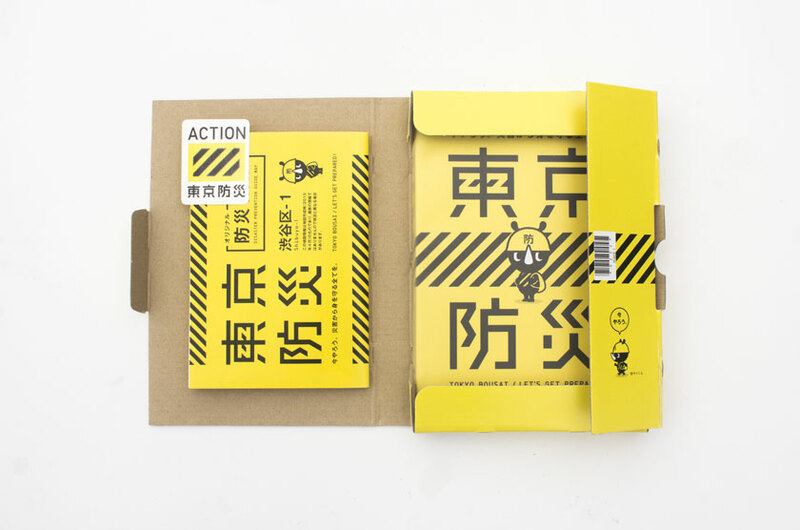 The quality of the design of the packaging, the book itself, illustrations and layout of the inner pages is impressive. The same booklet – which was only available in Japanese as print copy – was also made available in English as PDF download. You can download them from here in Japanese and English.